Painting by artist Jean Blackburn depicting the town of Providence about 1650. In this activity you will listen to Ranger John McNiff describe the different areas of the painting to visualize the buildings that are there today. 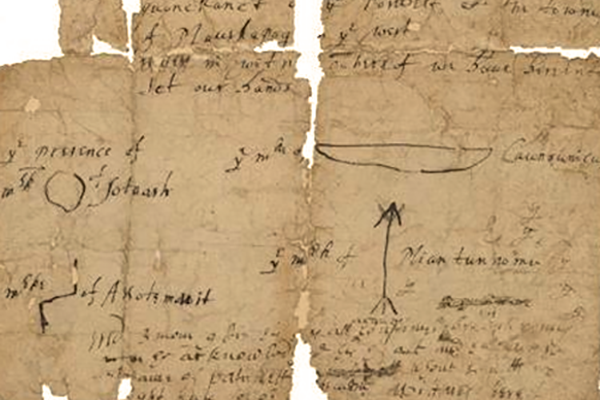 The sachems Canonicus and Miantonomo etched their “signatures” with the symbols of a bow and an arrow respectively, on the deed that granted land to Roger Williams. Zoom in to see the signatures and watch a Ranger John McNiff discuss the deed. 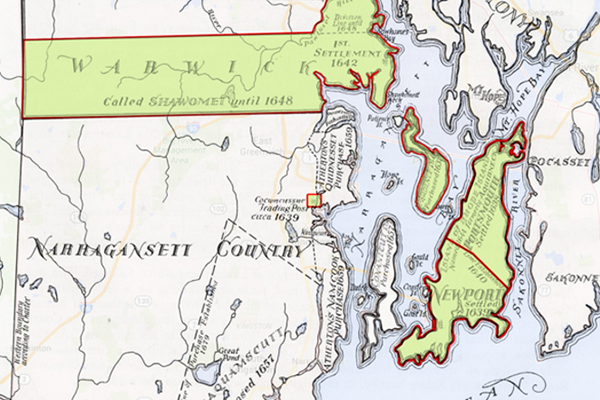 ‘Rhode Island Boundaries’ was first issued in 1936 as a special report of the Rhode Island State Planning Board. The maps were designed by John H. Cady and drawn by William A. Perry, a staff artist of the planning board. 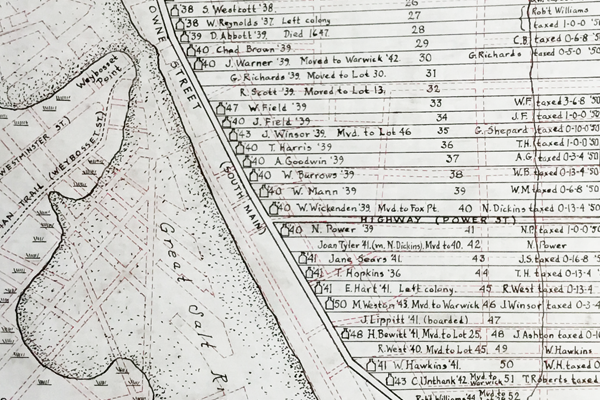 Click through the dates in our interactive map to see which areas were founded first. 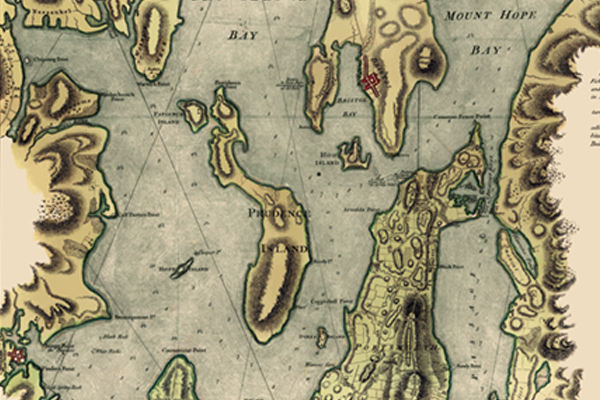 One of the most beautiful maps of Rhode Island ever created was this one, drawn in 1777 by an English surveyor named Charles Blaskowitz. During the American Revolution, Rhode Island was close to the front lines and mapmakers needed to understand the land for military reasons. Historian Chris Pastore talks about Naragansett Bay in the accompanying video. Roger Williams moved several times in the Boston area before being banished and settling in Rhode Island. 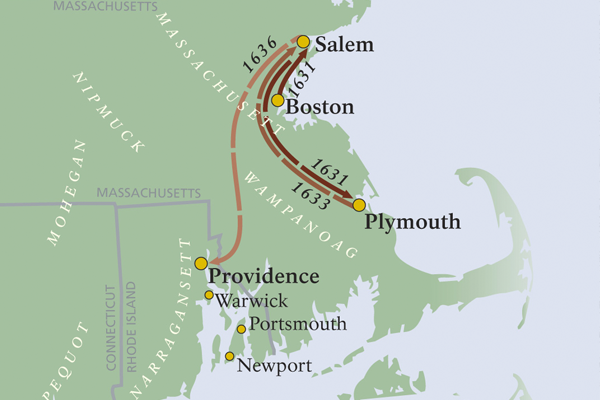 The map from the National Park Service's website for the Roger Williams National Memorial shows the speculative journey routes he could have taken. 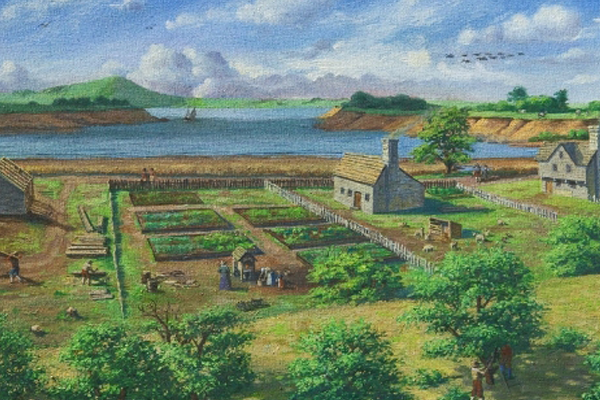 Not having a central place of worship or common, which was typical of most Puritan villages, Providence's first home lots were laid out in a linear pattern. Unusual for the time, two of the original nine home lots were owned by women, Alice Daniel and the Widow Reeve. 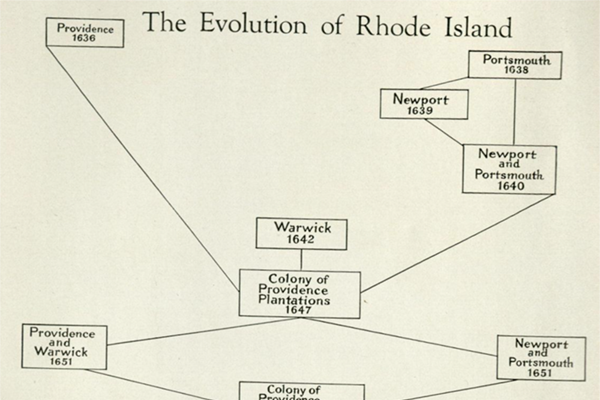 By 1670, Providence's population had grown to 1,000. Zoom into the map of the home lots of early settlers by John H. Cady. 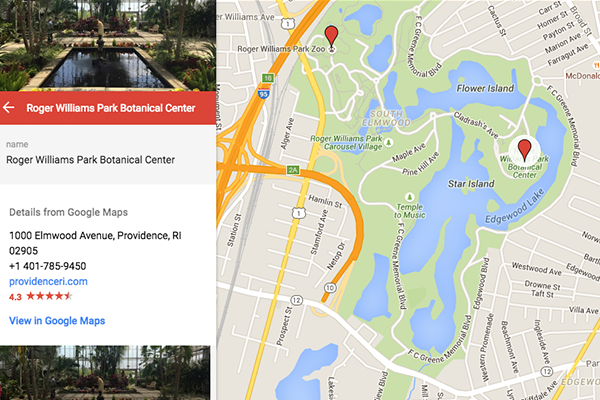 Find and map places of interest related to Roger Williams on the interactive Google Maps. How many have you visited? Is the map missing any Roger Williams's places of interest that you know of? 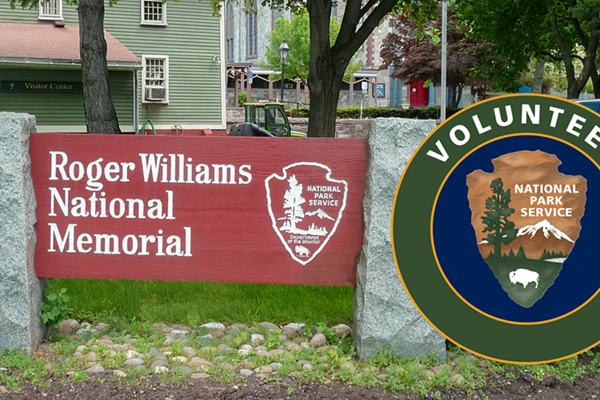 Roger Williams National Memorial is located in downtown Providence, Rhode Island. Here you can discover the story of Roger Williams, the founder of Providence and an early proponent of Freedom of Religion. The visitor center features an exhibit as well as a short film. The grounds of the National Memorial also includes a number of wayside exhibits.